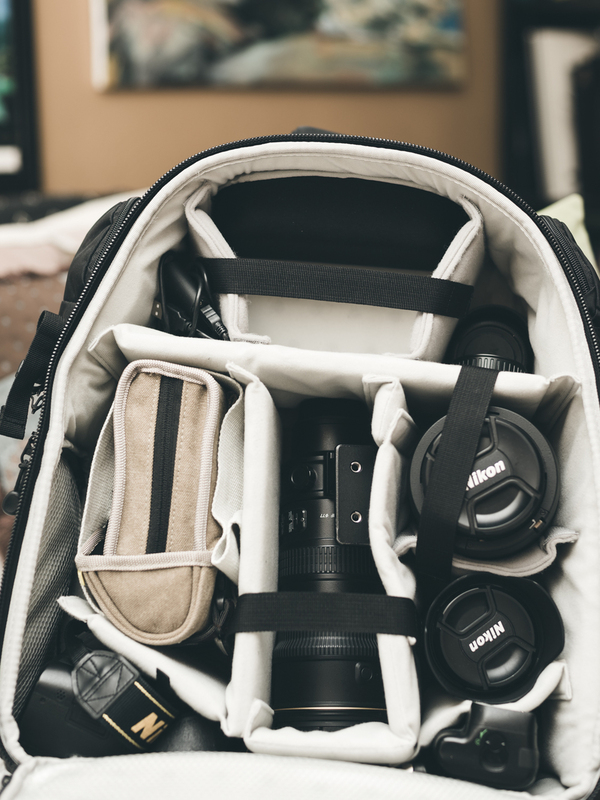 The Tenba Shootout 32L is an excellent bag for holding literally all your camera gear on your back in both a comfortable and functional way. The Shootout is definitely for those photo shoots where you need to bring multiple camera bodies, lenses, flashes and accessories. The bag is designed in a way where you can fill it full to the brim and comfortably take it on a hike. The thick shoulder straps, and excellent waist strap help to distribute the weight evenly. To further balance the load, there’s a sternum strap and load lifter straps which help to pull the load up and closer to the body. In addition, I’ve carried the Profoto B1 Flash in one hand and a 3×4 RFI softbox in the other, and still was relatively comfortable. There are pouches and pockets galore. Even with the above load, there’s still capacity to hold more accessories. Not to mention the many places to hook stuff onto such a water bottle or bear spray for those deep wood hikes. What more could you ask for? How about a tripod attachment! The excellent attachment connects to the bag via the bags frame which helps to minimize the drag on your back due to the extra weight. To top it all off, there’s a side quick access panel that allows you to access your camera without having to take the bag completely off your back. 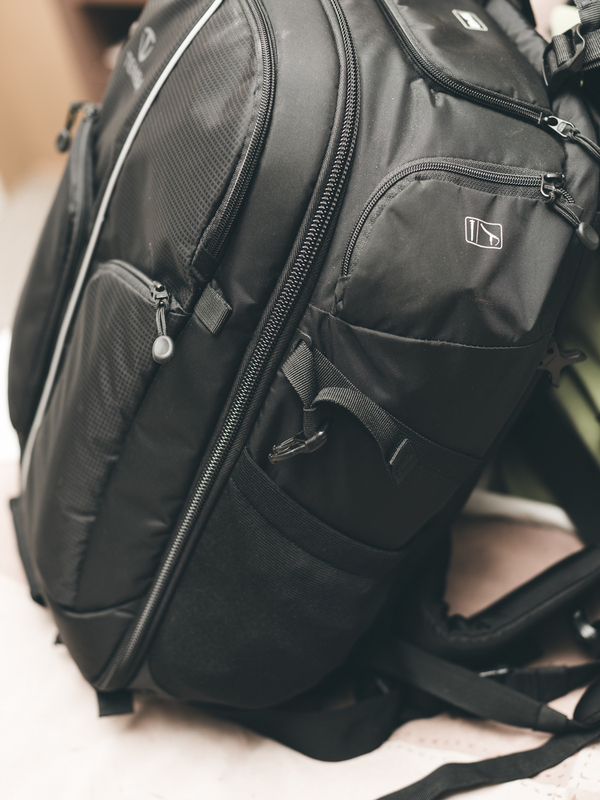 The Tenba Shootout 32 L is hands down an excellent bag because it is able to hold so much gear and yet still be kind on your shoulders. The bag is built with quality in mind so you know it can survive those long treks, ready to perform. A very spacious interior for all your gear! Sturdy straps and hip belt help to balance a heavy load. Front Pocket for memory cards, lens cleaners, gels, and other accessories. Can even hold an iPad! All content copyright Edward Lee. No unauthorized use permitted.